Like many of us I guess, I am disillusioned that the rich promise of social networks for informal learning and the sharing of knowledge has been overwhelmed by endless drive for monetization. Even such basic features as privacy and data security seem to be determined more by how to make money than by any ethical concerns. I long ago lost faith in Facebook. However, I still have a soft spot for Twitter. Even though curating follower lists takes some time, it is amply paid back by the links to so many things – reports, papers, blogs etc.I would never have stumbled on before. All this is a rather lengthy prelude to two slides I found last week. Sadly I have lost who was the creator (anyone care to claim them?). 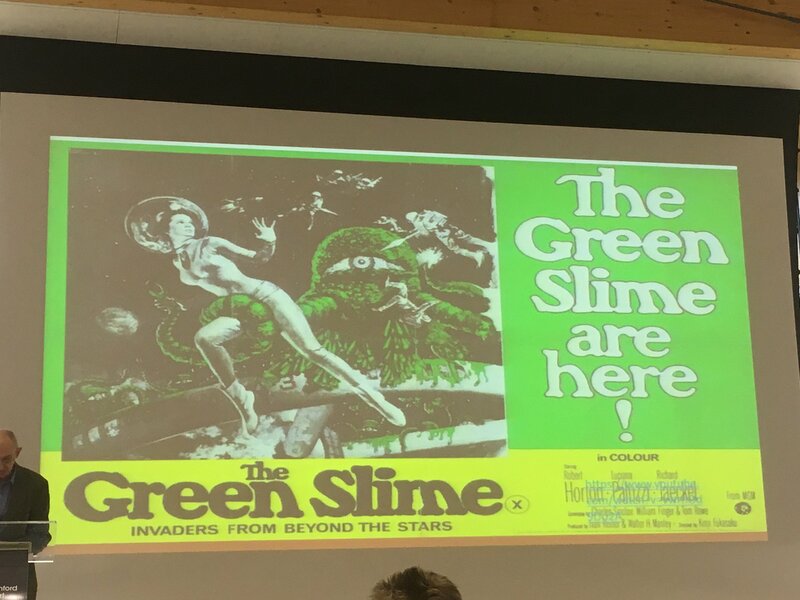 But these are great slides. Readers familiar with European Research projects will know how they work. The projects negotiate with the European Commission a DOW – Description of Work – which details the work to be undertaken in each year of the project. It is divided into discrete work packages. Every year the work package provides a (usually over lengthy) report on research and development undertaken which is then presented to a team of expert reviewers who can ‘pass’, recommend changes or ‘fail’ the report. Although obviously large scale multi national research projects need structures and plans. But all too often the work package structure separates research and development activities which should not be separated and the DOW become a restrictive ‘bible’, rather than a guide for action. And despite the large amount of work which goes into preparing the work package reports, they are seldom widely read (if indeed read at all), except by the reviewers. In the EmployID project which is working with identity transformation in European Public Employment Services (PES), we are doing things differently. The work is structured though cross work package teams, who follow an adapted SCRUM structure. The teams are reviewed at face to face meetings and recomposed if necessary. 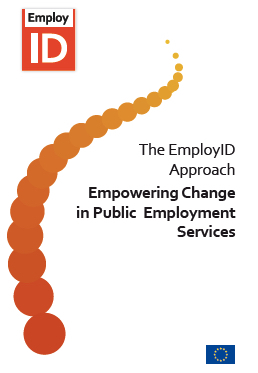 And this year, instead of producing a series of Work package reports, the project partners have jointly contributed to a book – Empowering Change in Public Employment Services: The EmployID Approach which has just been published and can be downloaded for free. European Public Employment Services (PES) and their employees are facing fundamental challenges to the delivery of efficient and effective services and the need to change their strategies to combat high unemployment, demographic change in increasingly uncertain and dynamic labour markets. This does not only require developing new professional skills related to new tasks, but poses for more profound developmental challenges for staff members. Three of these changes relate to understanding the changing world of work; a ‘turn’ towards coaching; and the increased importance of relations with employers. The staff need to learn new ways of working, with a major challenge being to enhance the power of collaborative (peer) learning in order to support staff in accomplishing their goals. Social learning programmes as a way of engaging learners with new topics, other perspectives, and conversations around it. Chahira Nouira sent me an email asking if I could make a short podcast around Communities of Practice. ” I am writing,” she said “because I thought you might have 15 min of your precious time to help me compile an audio playlist where you are the stars! For a year, I have been involved in a project funded by the EU and one of its products is a Community of Practice for Lifelong Learning: DISCUSS. My idea is to get insights from you on CoPs based on how your experience and stories”. I have been involved – and still am – in a number of projects seeking to support the emergence of communities of practice – defined as groups of people who share a concern or a passion for something they do and learn how to do it better as they interact regularly – with varying success. In the podcast I try to explain why I think some have worked an others less so. In early days, in the late 1990s, we mainly saw the idea of Communities of Practice as an analytic tool to understand how informal learning develops in Communities of practice and how knowledge is exchanged. In a later stage we moved on to try to develop or foster Communities of Practice, using IST to support the emergence of dispersed communities. What it is about – its joint enterprise as understood and continually renegotiated by its members. How it functions ‐ mutual engagement that bind members together into a social entity. In seeking to support facilitation a vital prerequisite is understanding the nature of the social practices within the workplace, both through observable patterns of individual practice and through developing an overall pattern language. This includes the use of objects. Objects are necessary components of many practices – just as indispensable as bodily and mental activities. (Reckwitz, 2002). Carrying out a practice very often means using particular things in a certain way. Electronic media itself is an object which can mold social practices and enable and limit certain bodily and mental activities, certain knowledge and understanding as elements of practices (Kittler, 1985; Gumbrecht, 1988). One approach to choosing ways to develop particular objects is to focus on what Onstenk (1997) defines as core problems: the problems and dilemmas that are central to the practice of an occupation that have significance both for individual and organisational performance. Metacognitive monitoring of oneself, people needing attention and the general progress of the case, problem, project or situation. He also draws attention to the importance of what he calls mediating objects and points out that while some artifacts are used mainly during learning processes, most artifacts used for working are also used for learning. Such artefacts play an important role in structuring work and sharing information and in mediating group learning about clients or projects in progress. In general, when seeking to support online communities, we have developed web sites and web based tools which are separate form the work process. Possibly, we should be looking instead at how we can use artifacts from work processes to support learning and knowledge exchange. In the recent times my blogs on this site have focused almost exclusively on our EU-funded Learning Layers (LL) project. This time I will shift the emphasis to a major issue that we are discussing in the Bremen region: Measures to support the reception and integration of refugees. In particular Bremen is struggling with a large number of unaccompanied young people (under 18 years). On Thursday I attended with several other ITB colleagues a public event that brought into discussion a new study from Bremen, an ongoing model project in Bavaria and several views of stakeholders (from different organisations). In the first post I will give some background information and present insights int the Bremen study. In the second post I will give insights into the model project in Bavaria and highlight some key points of the discussion. One of the specific institutions of the Hanseatic City of Bremen is the Chamber of salaried employees (Arbeitnehmerkammer). This is a public body and all salaried employees in Bremen are also members of the chamber. This is a similar arrangement as is the case with Chambers of Commerce or with Chambers of Craft and Trade (which comprise all the enterprises in their respective domains). Given this co-existence of public representative bodies, they have developed several forms of practical cooperation with different societal issues. Also, they have a tradition to contribute to each others’ events. promote public discussion between different stakeholders who engage themselves with problems of young refugees. a) Concerning the amount of refugees arrived in Bremen: Whilst in 2014 the number of refugees was slightly over 2000, in 2015 it was over 10.000. In addition, the number of unaccompanied young refugees was in 2014 ca. 500, whilst in 2015 it was over 2500.
b) Concerning attitudes of employees: In general, employees are ready to receive refugees (given the shortage of skilled workforce) and to make extra efforts to support their training and integration into working life. Yet, they are aware of problems and risks (e.g. of high drop-out rates). c) Concerning efforts to overcome formal hurdles: Preconditions for flexible and supported entry to training (e.g. via pre-vocational measures) have already been created. Yet, they alone do not guarantee successful completion of training. d) Concerning parallel support measures and initiatives: At the moment the services and initiatives have been brought into picture in rapid tempo and separately by different actors. Therefore, they appear as uncoordinated patchwork of activities. However, as such they are not merely limited to educational and career guidance but cover also everyday life problems. to strengthen complementary support and mentoring networks to support overall integration into society and everyday life. I think this is enough of the background of the event and of the Bremen study that was presented as a basis for joint situation assessment. In the next post it is appropriate to present the Bavarian model project and some insights into the discussion. Sometimes writing reports for European projects can be a chore. Long, boring and nobody reads them. At the moment I am writing sections for the EmployID project second annual report. Instead of writing individual work package reports, as is the normal convention, we are writing a single report in the form of a book. And that provides more incentive to get it right. Plus the sections I am writing are all difficult – social learning, Learning Analytics and Labour Market Information tools, but are making me think. So I am quite enjoying it – I think. This last two weeks I have been working on design – or more specifically design for learning. How can we develop designs for tools to support informal learning in public service organisations. I am going to publish here a short series of posts outlining the way I am thinking. I am not sure if this stuff is write but would appreciate any feedback. The first post, today is about practice. Tomorrow I iwll look at the idea of Design Patterns and follow that up on Friday with a draft of a design pattern for Labour market Information tools. of continuous improvement. However it is unlikely that training programmes will be able to provide sufficient opportunities for all staff in public employment services, particularly in a period f rapid change in the nature and delivery of such services and in a period with intense pressure on public expenditures. Therefore the EmployID project aims to promote, develop and support the efficient use of technologies to provide advanced coaching, reflection and networking services through social learning. The idea of social learning is that people learn through observing others behaviour, attitudes and outcomes of these behaviours, “Most human behaviour is learned observationally through modelling from observing others, one forms an idea of how new behaviours are performed, and on later occasions this coded information serves as a guide for action” (Bandura, 1977). Facilitation is seen as playing a key role in structuring learning and identity transformation activities and to support networking in personal networks, teams and organisational networks, as well as cross-organisational dialogue. Proposals and initiatives to utilise new technology for learning and professional development in organisations is hardly new. However, a critical review of the way information technologies are being used for workplace learning (Kraiger, 2008) concluded that most solutions are targeted towards a learning model based on the idea of direct instruction. Technology Enhanced Learning initiatives tend to be based upon a traditional business training model transferred from face to face interactions to onscreen interactions, but retaining the standard trainer / learner relationship and a reliance on formal and to some extent standardised course material and curricula. Research suggests that much learning that takes place in the workplace and through work processes, is multi episodic, is often informal, is problem based and takes place on a just in time basis (Attwell 2007; Hart, 2011). Rather than a reliance on formal or designated trainers, much training and learning involves the passing on of skills and knowledge from skilled workers (Attwell and Baumgartl, 2009). In other words, learning is both highly individualized and heavily integrated with contextual work practices and is inherently social in its nature. To succeed in supporting identity transformation it is not enough merely to develop or deploy technologies which support training and information transmission. 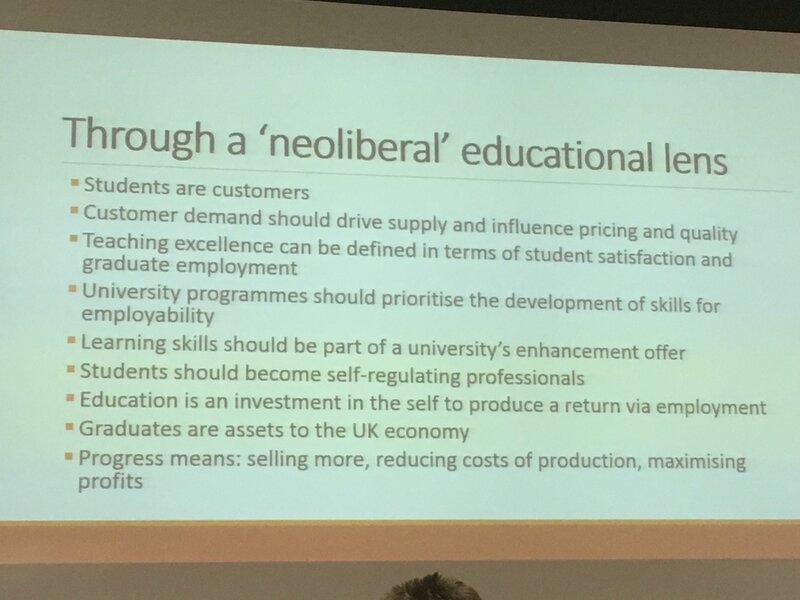 Rather, EmployID needs to develop approaches and pedagogies which can support social facilitation services within PES organisations and which empower individuals to engage in peer learning and facilitation around their own practices. Although there is much research around the use of technology for learning, far less attention has been paid to informal learning and facilitation processes in the workplace. Research around social practice has largely remained the preserve of social science with different approaches based on structuralism, phenomenology and intersubjectivism amongst others. In his paper on theories of social practice, Reckwitz (2002) draws attention to the dual meaning of the English word practice in German. “Practice’ (Praxis) in the singular represents merely an emphatic term to describe the whole of human action (in contrast to ‘theory’ and mere thinking). ‘Practices’ in the sense of the theory of social practices, however, is something else. A ‘practice’ (Praktik) is a routinized type of behaviour which consists of several elements, interconnected to one other: forms of bodily activities, forms of mental activities, ‘things’ and their use, a background know- ledge in the form of understanding, know-how, states of emotion and motivational knowledge. 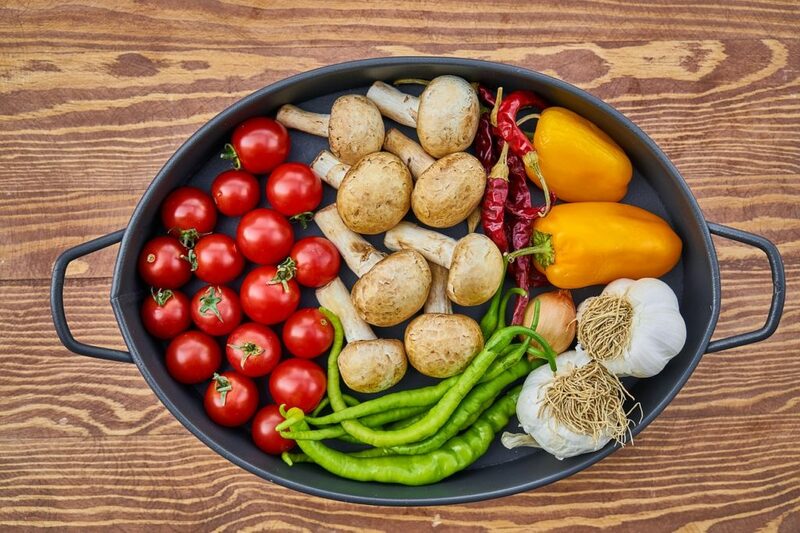 A practice – a way of cooking, of consuming, of working, of investigating, of taking care of oneself or of others, etc. – forms so to speak a ‘block’ whose existence necessarily depends on the existence and specific inter-connectedness of these elements, and which cannot be reduced to any one of these single elements. In this understanding knowledge is more complex than ‘knowing that’. It embraces ways of understanding, knowing how, ways of wanting and of feeling that are linked to each other within a practice. In seeking to support facilitation within public employment services a vital prerequisite is understanding the nature of the social practices within the workplace, both through observable patterns of individual practice and through developing an overall pattern language. This includes the use of objects. Objects are necessary components of many practices – just as indispensable as bodily and mental activities. (Reckwitz, 2002). Carrying out a practice very often means using particular things in a certain way. Electronic media itself is an object which can mold social practices and enable and limit certain bodily and mental activities, certain knowledge and understanding as elements of practices (Kittler, 1985; Gumbrecht, 1988). One approach to choosing ways to develop particular objects is to focus on what Onstenk (1997) defines as core problems: the problems and dilemmas that are central to the practice of an occupation that have significance both for individual and organisational performance. If understanding the nature of social practices and patterns is a necessary step to developing facilitation services, it is not in itself sufficient. Further understanding is needed of how learning, particularly informal learning, takes place in the workplace and how knowledge is shared and developed. 4. Metacognitive monitoring of oneself, people needing attention and the general progress of the case, problem, project or situation. He also draws attention to the importance of what he calls mediating objects and points out that while some artifacts are used mainly during learning processes, most artifacts used for working are also used for learning. Such artefacts play an important role in structuring work and sharing information and in mediat9ing group learning about clients or projects in progress. Tackling challenging tasks and roles requires on-the job learning and, if well- supported and successful, leads to increased motivation and confidence. According to De Laat (2012) informal learning in the workplace is often described as observing how others do things, asking questions, trial and error, sharing stories with others and casual conversation (Marsick and Watkins, 1990). Boud and Hager (2012) argue that learning is a normal part of working and professional development should be placed in a social context where professionals work and learn together, changing and innovating both their professional practice as well as their professional identity. De Laat (2012) argues that we need to find a new balance between formal and informal learning and provide opportunities for what Fuller and Unwin (2003) call expansive ‐ as opposed to restrictive learning ‐ through developing an organisational culture that values and supports learning and by so doing, opens doors to various opportunities for professional development. Informal professional development through engagement in social learning spaces can enable participation, construction and ‘becoming’ (De Laat, 2012). “Communities of Practice are important to the functioning of any organisations, but they become crucial to those that recognise knowledge as a key asset. An effective organisation comprises a constellation of interconnected CoPs, each dealing with specific aspects of the company’s competency, from the peculiarities of a long standing client, to manufacturing safety, to esoteric technical inventions. Knowledge is created, shared. organised, revised, and passed on within and among these communities.” (Wenger, 1998). · What it is about – its joint enterprise as understood and continually renegotiated by its members. · How it functions ‐ mutual engagement that bind members together into a social entity. A number of issues emerge in studies of attempts to develop communities of practice. One is a tendency to build a platform and ‘declare’ the existence of a community of practice, rather than supporting emergence and therefore ownership. The second is to fail to recognise that such a process of emergence is continuous and ongoing. A third is to conflate organisational structures with communities and to focus on the organisational nature of the community rather than the routines and artefacts that define the capability of practices. In a similar way social learning is not something which can be done to people. Instead an approach to social learning has to be based on facilitation of social learning processes with organisations and within Communities of Practice. Such facilitation needs to relate to the social practices of people. Murphy (2004) has conceptualized collaboration as a continuum of processes, and developed an instrument with six stages for the purpose of identifying and measuring online asynchronous collaboration: “(1) social presence (2) articulating individual perspectives (3) accommodating or reflecting the perspectives of others (4) co-constructing shared perspectives and meanings (5) building shared goals and purposes, and (6) producing shared artefacts.” However, these six stages can also serve as a template for social learning processes and inform the work of EmployID in developing tools which can facilitate social learning. Gumbrecht, H. U. (Ed.) (1988) Materialität der Kommunikation. Frankfurt/Main: Suhrkamp. Kittler, F. (1985) Aufschreibesysteme 1800/1900. München: Fink. Murphy, E. (2004). Recognizing and promoting collaboration in an online asynchronous discussion. British Journal of Educational Technology, 35(4), 421-431. Tennant, M. (1999) ‘Is learning transferable?’ in D. Boud and J. Garrick (eds.) Understanding Learning at Work, London: Routledge. In the beginning of the Year 2 the Learning Layers project agreed to organise a “Theory Camp” activity with lengthy preparatory phase, and intensive symposium during the Y2 Integration Meeting in Aachen and a follow-up phase. This activity brought into picture the specific interactive relations between theoretical work and co-design activities in the construction pilot. A considerable part of the contributions to the Theory Camp articles represented different aspects of learning, knowledge development etc. or different accents on design processes. These were to be applied to the fields of application via design processes that focus on specific problems and respective tools. As a contrast, the research partners in construction sector build upon the experience of participative innovation programs that have emphasised the social shaping of work, technology and work organisations from the perspective of whole work processes and holistic occupational qualifications, see Landesprogramm Arbeit und Technik, Bremen (Deitmer 2004); BLK-Programm Neue Lernkonzepte in der Dualen Berufsausbildung (Deitmer et. al. 2004). In this respect the research partners in construction pilot drew attention to themes ‘acquisition of work process knowledge’ (see also Fischer et al. 2004) and ‘vocational learning’ in their contributions. In the follow-up phase the research partners worked with the themes ‘reviewing accompanying research’ (ECER 2014) and ‘reviewing activity theory’ (Bremen conference 2015). With this theoretical and methodological work the research partners reviewed the theoretical insights and discussed experiences with developmental research approaches, such as the ‘change laboratory processes’ and ‘expansive learning cycles’ (based on the work of Yrjö Engeström and affiliated project teams). As a consequence, the research partners were in the position to work in the complex and manifold process of designing and developing Learning Toolbox with sufficient openness. This was needed to give time for capacity building and growing readiness for co-development (on all sides of the process). This was also crucial for making the toolsets appropriate to support (holistic) vocational learning and enhancing (holistic) work process knowledge. This has required manifold feedback loops and intensive reporting from field workshops. In this way the research partners in construction pilot have supported process dynamics that have enabled the application partners to become themselves the drivers of the piloting with Learning Toolbox in their own trades (Bau-ABC trainers) or in their specific contexts and activities to promote ecological construction work (Agentur and the affiliated network NNB). As I have mentioned above, this thread was taken up by the ITB team as a follow-up of the Theory Camp and pursued further in a workshop of the Bremen International VET conference (see the report in my recent post). Here it is worthwhile to note that we gathered experiences on the use of Change Laboratory methodology in intervention projects and of theory of Expansive Learning as an interpretative framework in comparative projects. Also, we engaged ourselves in critical re-examination of some concepts used in Activity Theory (such as Vygotsky’s concept of ‘mediation’ and concepts like ‘contradiction’ and ‘transformative practice’). These discussions will be continued as the LL project proceeds deeper to the exploitation of results. Already in ECER 2014 (in Porto) the ITB team had started a cooperation with researchers from HAN University of Applied Sciences with focus on intervention research (see the report in my earlier blog). This was followed up in the Bremen conference and in ECER 2015 (in Budapest). In the Budapest session the colleagues from HAN presented a new project that focuses on practice-based learning in HE programs with strong vocational elements. In this context they worked further with process models and with ‘stealthy intervention’ strategies. In a similar way a Danish project from the National Centre for Vocational Education presented a ‘Vocational Education Lab’ approach for promoting innovations and networking across vocational schools. (See the report in my recent post.) Also these exchanges will be continued when the LL project proceeds with the exploitation activities. I think this is enough for the moment. We are now looking forward to next steps with our fieldwork and our exploitation activities. (People rating) will replace grades and evaluations. Because, when you have an entire network evaluating people, why on earth would you fall back on something as imprecise as a test? (p.s. smart network-based evaluations are what finally break up ‘old boy networks’ that mutually support each other with positive recommendations). As Stephen commented there is really nothing new about this App. And we have experimented with this sort of thing in the MatureIP project. But instead of asking people to rate other people we rather asked them to list other peoples skills and competences. Despite my misgivings it worked well in a six month trial in a careers company in north England. What we found, I think, was that official records of what people can do and what their skills are are scanty and often not accessible and that people are often too shy to promote their own abilities. But coming back to Stephens comments, I tend to think that smart network based recommendations may only strengthen old boys networks, rather than break them up. In research into Small and Medium Enterprises we found that owner . managers rarely worried too much bout qualifications, preferring to hire based on recommendations form existing employees or from their own social (off line at that time) networks.Yes of course tests are imprecise. But tests are open(ish) to all and were once seen as a democratising factor in job selection. Indeed some organisations are moving away from degrees as a recruitment benchmark – given their poor performance as a predictor of future success. But it doesn’t seem to em that recommendation services such as LinkedIn already deploy are going to help greatly even with smart network based evaluations. I still see more future in e-Portfolios and Personal Learning Networks, which allow users to show and explain their experience. I am a bit surprised about how quiet the ePortfolio scene has been of late but then again the Technology Enhanced Learning community are notorious for dropping ideas to jump on the latest trendy bandwagon.